A sumptuous historic center and perfectly preserved, a multitude of museums and contemporary art galleries full of Klimt, Monet and Picasso – but just to name a few -, markets of all kinds, countless shows and concerts of classical music make the Austrian capital one of the most visited cities in the world. 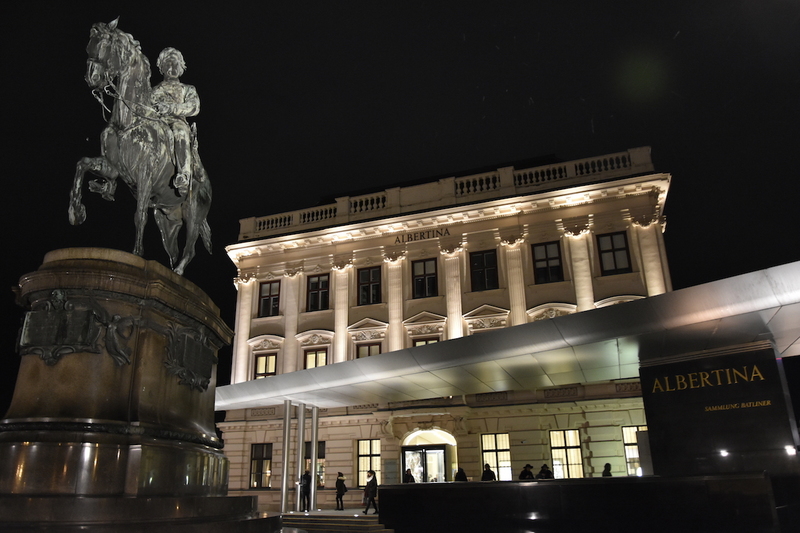 The list of good reasons to go to Vienna could be really long: in this post I will only suggest 5 experience not to be missed that will make your stay even more special in the drawing room of Europe. Vienna is eclectic and it is this aspect that surprised me and liked most . Davo absolutely I assumed to arrive in an elegant and refined city, but I know also discovered an alternative and contemporary side. Heritage and most visited tourist attraction in the country, the Schönbrunn Palace, with its 1400 rooms, is considered the most impressive baroque buildings in Europe. For centuries, the palace was the summer residence of the Habsburgs and this is where Maria Antonietta, Queen of France, has taken the first steps. Among fragrant roses, whirling mazes and fountains spurting many Viennese come to enjoy the sunny days: access to wonderful gardens is free as well as the views of the Schönbrunn Palace with the whole city behind him that you can enjoy from the Gloriette. In my opinion, the best time to see Vienna in the evening, when all the downtown buildings are illuminated. After sunset, emerging from the subway the Wiener Staatsoper , or the State Opera, will leave you speechless – even more so if it is evening of concerts and the square is teeming with elegant couples – as well as the Albertina and the majority part of the main historical buildings. Indispensable then a walk in ‘ Innere Stadt in the evening, when the city noises are muffled and an aura of mystery surrounds the heart of Vienna. I’m not a fanatic of the Christmas markets but the atmosphere in the Austrian capital already in November is something magical. The old town is dotted with traditional wooden stalls decorated with twinkling lights, the scent of sugar and cinnamon fills the air and her eyes fill with sweets and crafts that you would like to buy all. But the atmosphere is special not only for the colored lights and Christmas carols echoing in the streets: a feeling of community and conviviality hovers strong all around, tying a host of courageous individuals who defy the cold holding in his hands a cup of Glühwein for the sake of being there. In the Austrian capital, just as in Italy, coffee is part of popular culture and the rhythms of the day expiration of each. But in Vienna forget the espresso quickly taken to school: the taste might not be what the absolute best coffee – or at least not as we know Italian – but the Viennese kaffeehaus still retain all the poetry of a time when philosophers and writers spent whole days talking about politics and writing. And if the discussion, even the most committed, and the cappuccino, even the most vaguely decent, are accompanied by a beautiful sachertorte, the coffee break is perfected.